Hajime and Hanako had a win-win date. Hajime helped Hanako make a hair accessory and Hanako shared an ice cream sundae with Hajime. Win-win! This week appeared to be flower themed. 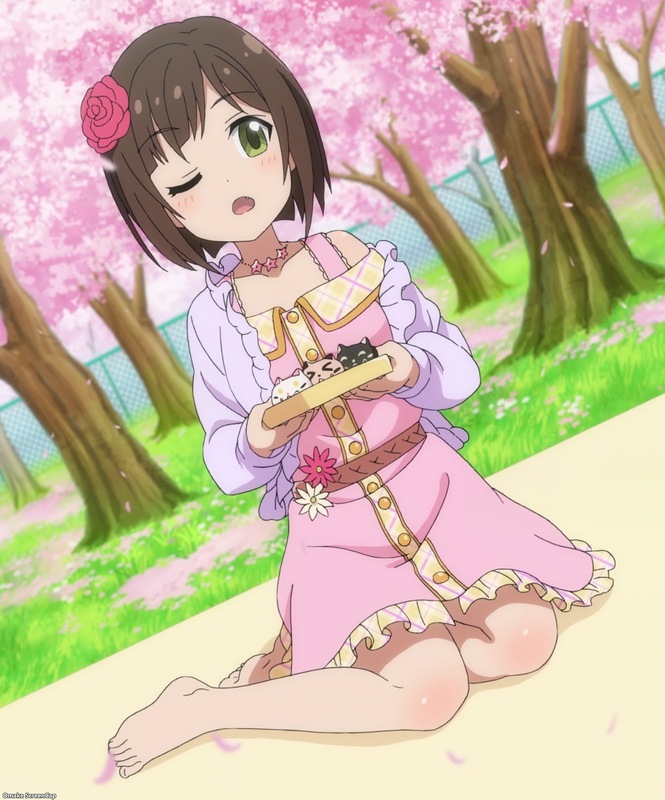 Miku and some other girls teased Producer about drinking beer during a cherry blossom viewing. 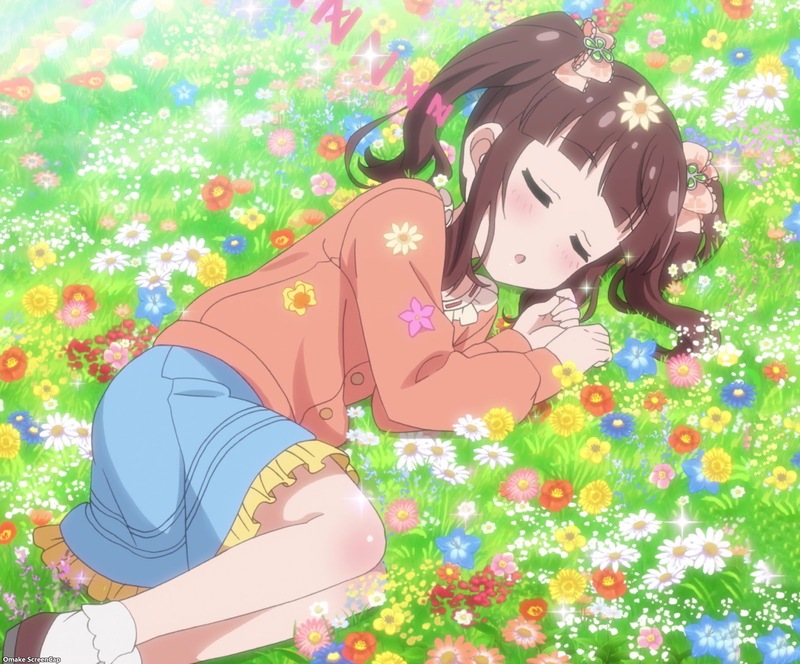 And Arisu drew flowers, but found a better subject in a napping Chieri. 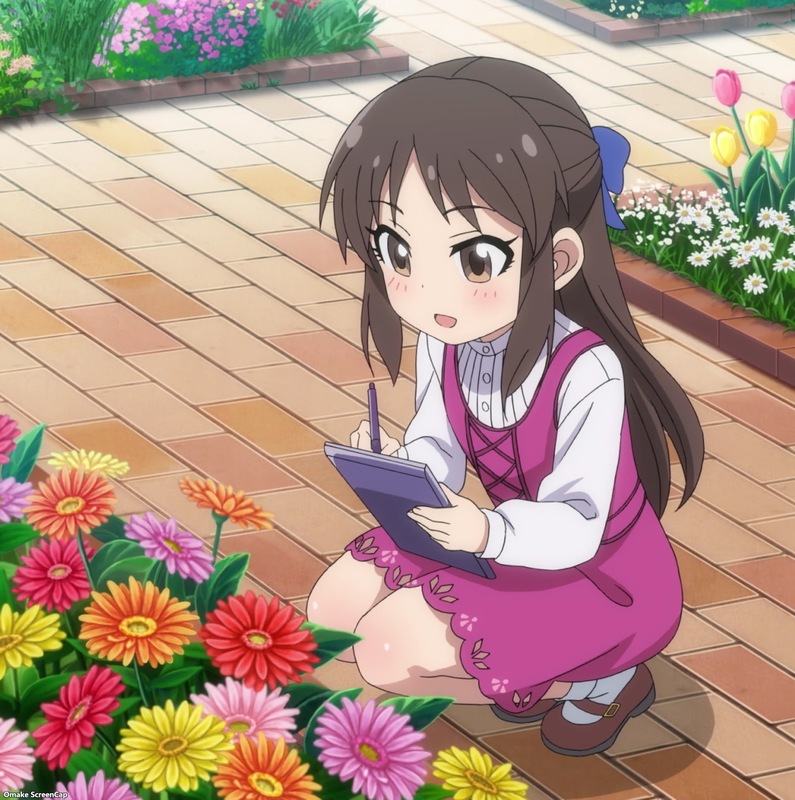 Meanwhile, Hajime noticed Hanako looking at an accessory magazine. She gave her the idea of making her own flower-themed hairpin, since her hobby is arts and crafts. 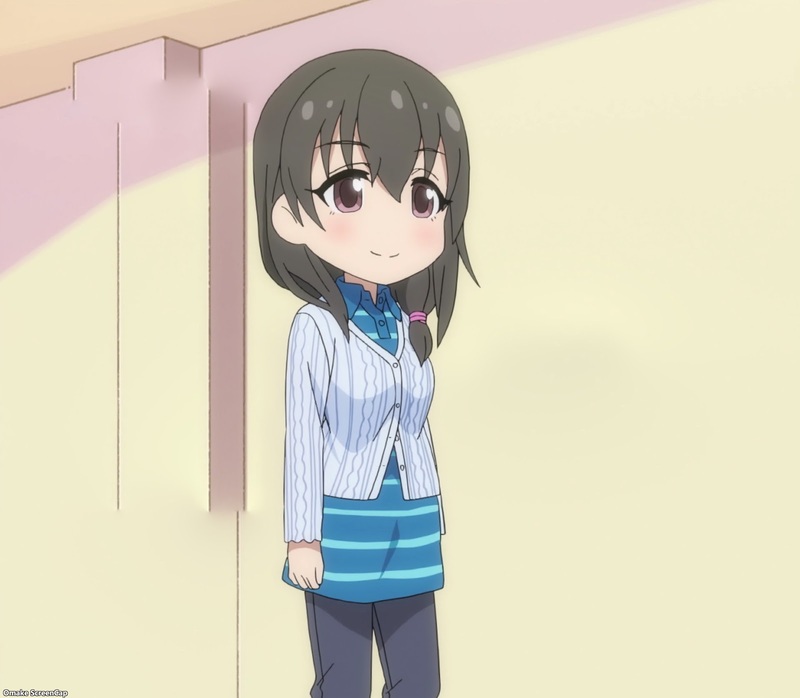 Hajime got a big ice cream sundae out of the project.